The Royal Wedding Countdown: What Will The Queen Be Wearing? 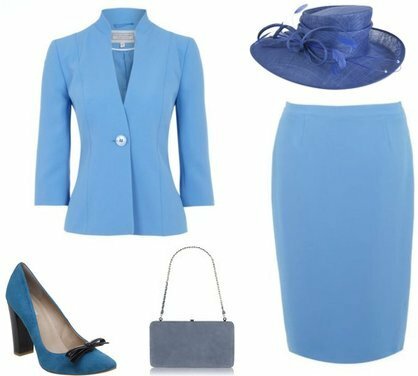 Always a vision in pastel skirt suits and dainty hats, we have started to wonder what the Queen will be sporting a week today for her Grandson’s wedding. Will she stick to her usualÂ ensemble of delicate Summer shades and elegant accessories, or will there be the addition of brights to add a pop of colour to her demure style? With only a week to go until the big day, we’ve got our thinking caps on and put together some looks we think the Queen would look lovely in. 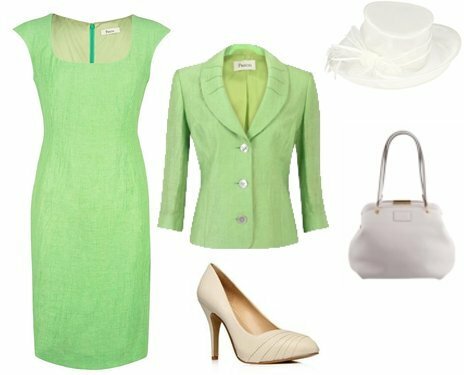 This is the Queen’s trademark – a pale pastel skirt suit with matching accessories to make her stand out from the crowd without looking too over the top. We’ve seen her in baby pinks and pastel lilacs, but we think she looks best in dreamy blues and greens as seen above. We’ve created two looks that channel these colours. Think summery shades of deep sea blue and leafy green, finished off with delicate flowery hats and simple shoes and bags. Details include feminine bows, feathers and clasp fastenings, ensuring the look is simple yet ladylike. 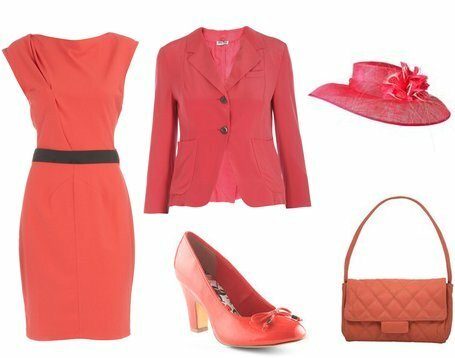 So, maybe we might be dreaming when we think the Queen will turn up in fiery pink or tropical corals, but you never know! We’ve gone for bright, Summery colours that wouldn’t look out of place on the beach in Hawaii, but we think they are (quite literally) fit for a Queen! The colours are paired down with some mutedÂ accessoriesÂ in paler shades. 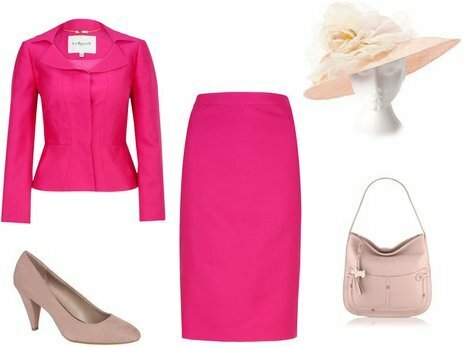 Round toe court shoes and cute handbags pull the look together, along with the must have wedding hats in similar tones. What do you think the Queen will wear to the wedding? What do you think of our picks? Valentine's Day Premiere: What Were the Celebrities Wearing?